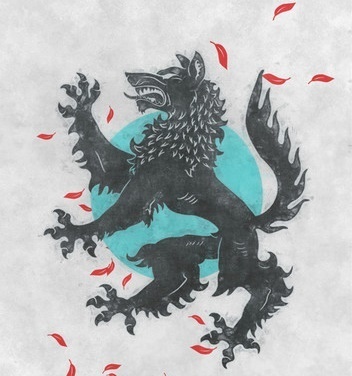 Recently, Avatar has received some very high praise that i am deeply honored by. 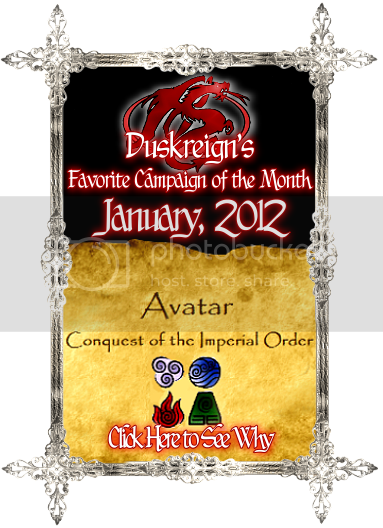 We were named November 2011 Campaign of the Month, placed 3rd in the vote for 2011 Campaign of the Year, received the high honor and praise of one of my greatest inspirations here on the portal, Duskreign, when he named us his Favorite Campaign of the Month for January 2011, and were shown overhwleming support by the community when we reached over 200 fans!!! :D I am so grateful for the support of everyone who has helped inspire me to make Avatar what it is today and i never could have done it without all of you!